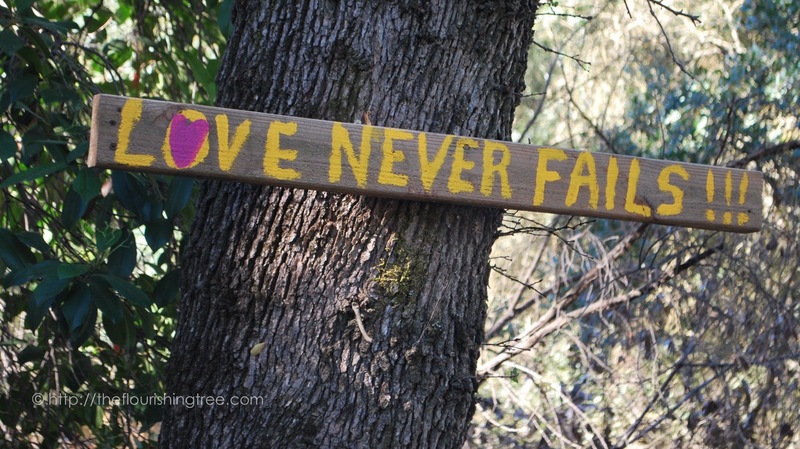 This entry was posted in flourishing tree and tagged 1 Corinthians 13, child abuse, child hiding in recycle bin, faith, family, God's love, good aunt, hope, love, love never fails, Psalm 94:18-19, signs, signs on trees, trees, unfailing love by hopesquires. Bookmark the permalink. Thank you Hope for sharing another Tree Sign. I share your view as far as the wedding vows. I too thought of other versus such as Ruth 1:16. I always thought that this would be the verse to share at my wedding as we take our vows. I love 1Corinthians but I look at this scripture on how I should be expressing myself to others on a daily basis. Keep the Tree Signs coming Hope! That’s the perfect way to think of 1 Corinthians 13, and I love that verse in Ruth–such power in her words to Naomi. I’m glad you’re enjoying the tree series. There are four more coming.